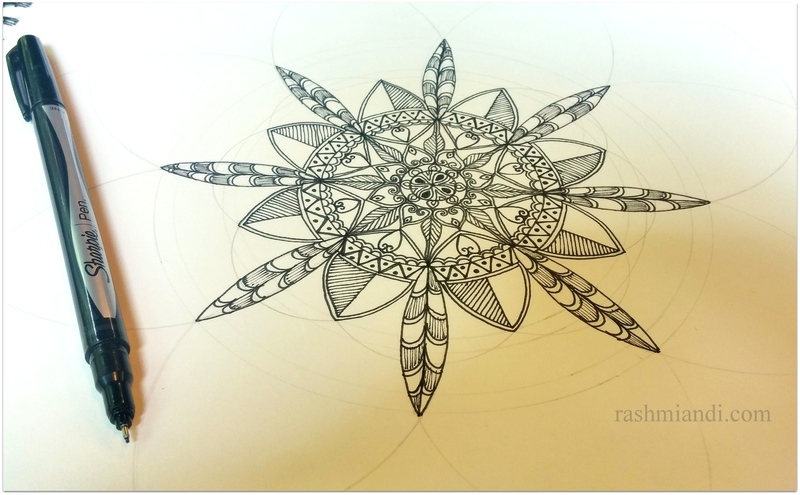 Another Mandala drawing from my Art closet! The word Mandala means “circle”. 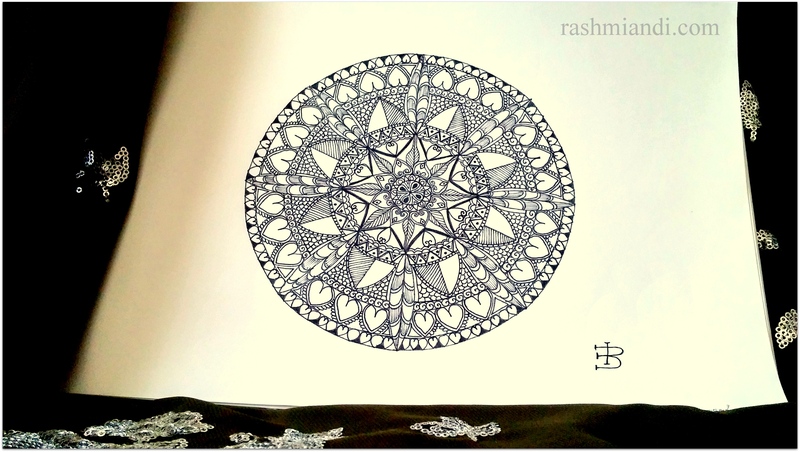 A Mandala represents wholeness extending beyond mind and body. Some have spiritual significance in few religions. 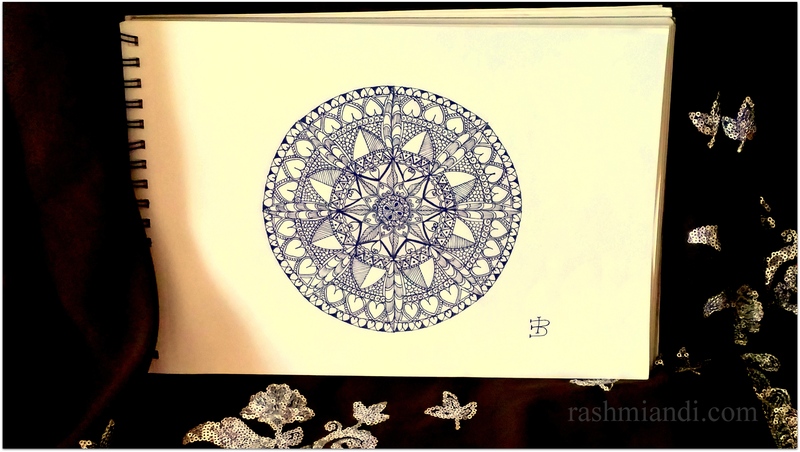 Mandalas are used for meditation purposes thus allowing the individual to become one with universe.